When state funding was cut for the Kentucky Teacher Internship Program, the Warren County School district took matters into its own hands by partnering with WKU’s School of Teacher Education. 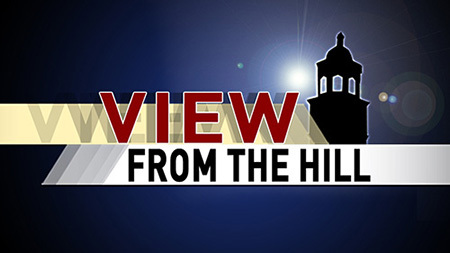 WKU's Amy Bingham has more on the partnership in this week’s View from the Hill. This mentoring program between first year teachers and more seasoned educators was too important to lose. That’s why Warren County Schools and WKU are working together to make sure new teachers are given the support they need to succeed. Thomas Poole is in his first year of teaching agriculture classes at South Warren High School. He’s also part of the New Teacher Academy that pairs him with a more experienced teacher. That’s where Julie Waddell comes in. She has 12 years of experience in the classroom. Thanks to a partnership between WKU and Warren County Schools, there are approximately 60 first year teachers like Poole getting this extra attention. When state funding was suspended for a similar internship program, Warren County reached out to WKU to find another way. The New Teacher Academy, which held its end of the year banquet Thursday night, also had five seminars throughout the academic year on topics including classroom management, gifted education and ways to improve family participation.